Parents Megan and Eric Kellermeyer (and presumably baby Dovahkiin Tom Kellermeyer) will, as promised, now receive free Bethesda games for life. The Bethesda blog wished the family all the best. On the family's web comic blog, parent "Jade Griffin" (presumably Megan Kellermeyer) discussed - a day before the birth - the naming conundrum. "We conceived long before hearing of [the Bethesda challenge]. But it's been a tough year and I wanted to do something special for my son. My daughter has a unique name. I wanted him to have a unique name as well. I am so picky about boy names that I was having a lot of trouble finding just the right one," she wrote. 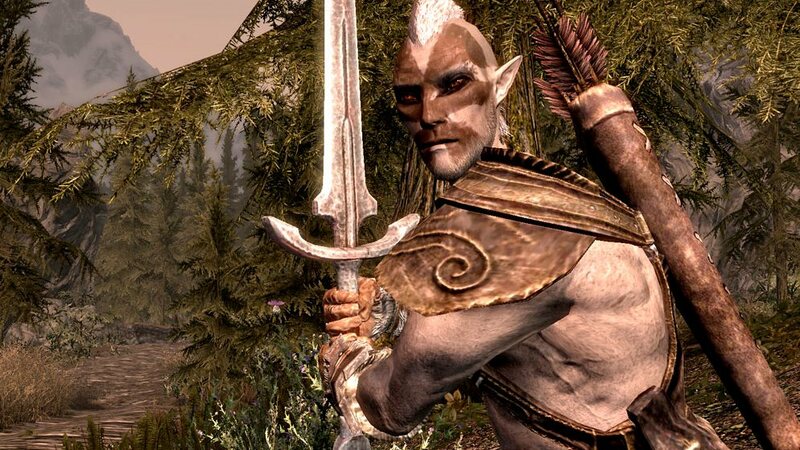 "We've toyed with Dovahkiin and the ramifications of naming a child that name, and that name being based on a video game character (however awesome), and what impact that would have on him. But the more I thought of it, the more I settled on Dovahkiin, contest or no. "It helps that we told all our friends and family and very few are opposed to the idea. My mom thought it was neat! He will have a perfectly normal and common middle name if the first name becomes too much for him, or us, or we just want to call him a nickname." She added: "I've read several posts on the site and most condemn anyone who would dare name their child such a thing, all for capitalism. Well, I really don't play many video games (TB [husband Eric] plays an ungodly amount though), and I would never name my child a name I found horrible or even terribly mediocre. "Naming him something so unique may only have as much effect as any person's opinion on another. That's all they are. Opinions. We all have them; most of us voice them. But the ones that matter most are the opinions of your family and, more importantly, the opinion you hold of yourself. "I think we can enable a high opinion of himself in our son because we've done so and will continue to do so with our daughter. The name won't change my parenting." The real question is what iteration The Elder Scrolls will be on in 16 years, when young Dovahkiin can legally play the game (Skyrim is a BBFC 15+, but PEGI is soon to take over and uses a 16 rating)? My guess is The Elder Scrolls 8.